The Form Challenge Template provides you with a range of different forms with which to test your Participant’s knowledge. The Form Challenge Template provides you with a range of different forms with which to test your Participant’s knowledge. This makes it a great template for testing almost any type of learning. 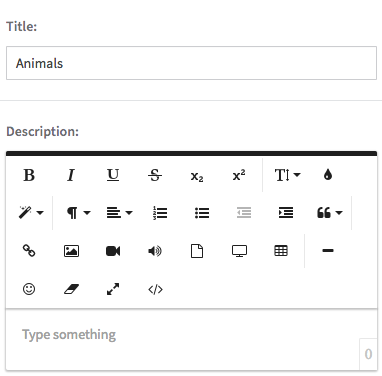 Label/Title: This can be used to give each of your forms a label or title. Description: This is a text box that lets you provide a description or give instructions for each of your forms. Input Box: The Input Box option comprises a text box with a question inside. 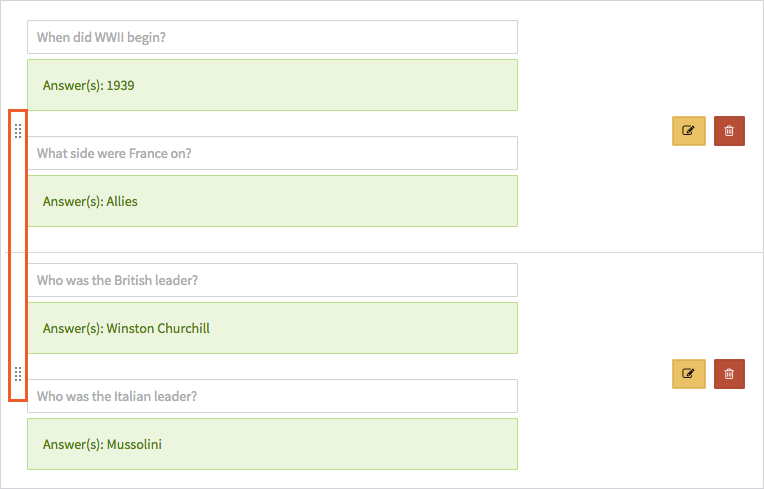 Participants are required to click on the box and write out the answer to the question. The Input Box option is great for testing recall memory. Dropdown Select: With the Dropdown Select option, Participants can choose their answer from a range of options in a dropdown menu. Radio Buttons: The Radio Buttons option presents Participants with a range of answers, which they must choose from by clicking the button next to the potential answer. 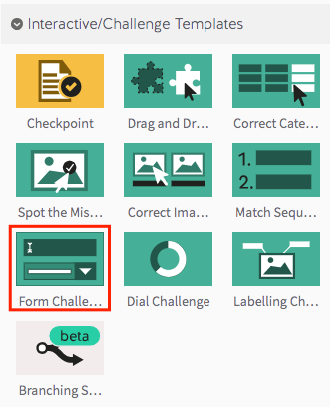 Step 1: Select the Form Challenge Template from the ‘Interactive/Challenge Templates’ panel. Note: By selecting the lock-step button, you can require your Participants to complete each question on your Form Challenge Template in order. 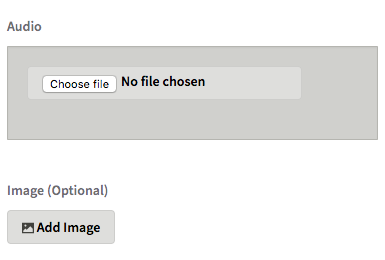 Note: You can add an audio file or an image for your Form Challenge Template. Image Tips: The image you choose for this template will sit above the ‘Done’ button. Images are not really necessary with this template, though we do recommend adding an image if you choose to upload audio, so that your Participants can click on the image in order to hear the audio. In this case, an image sized at 260 x 320 pixels will work well. Step 7: Select the ‘Add New Form Group’ button. Step 8: Select the form you’d like from the dropdown menu and press the green ‘Add’ button to begin editing it. Step 9: When you’re done editing your form, select the green checkmark. Note: To add more form groups, repeat the process from Step 7. You can reorder your forms using the drag and drop handles to their left.